It was the fall of 2010. 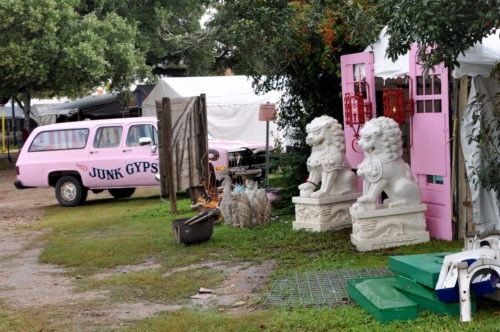 I had stumbled upon the Junk Gypsy Company on Facebook and fell in love. So when they announced that they were getting ready to set up at Antiques Week in Texas, I knew come hell or high water… I had to be there!! 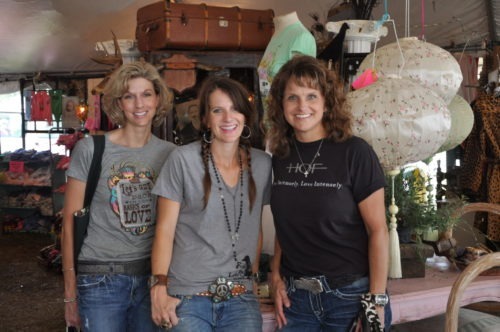 So I grabbed my junkin’ buddy, bought a couple of plane tickets, and headed for the cow fields of Texas. The show was about a week long with different parts opening at various times during the week. 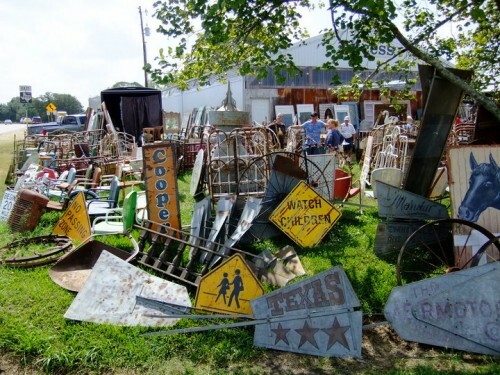 The vendors had literally turned miles of cow fields into a junk shopping paradise. 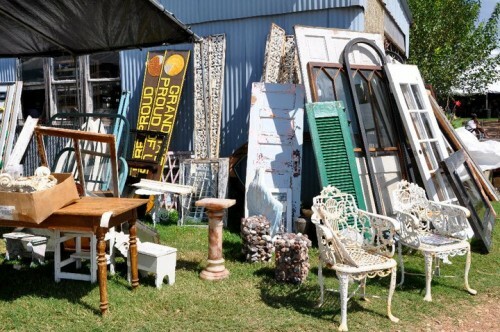 We planned our trip for the first part of Antiques Week. 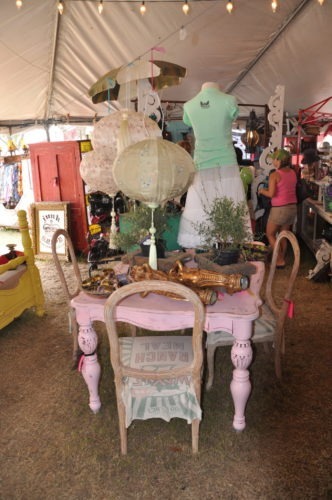 Our first stop was none other than the Junk Gypsy tent! We got there so early they were still setting up. 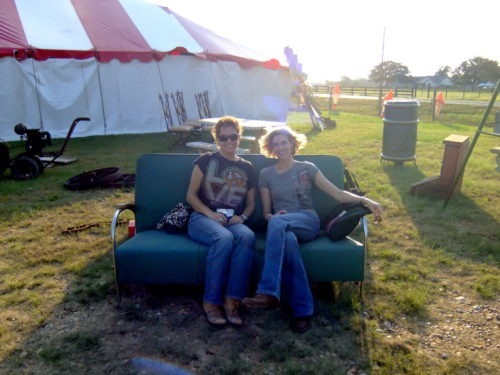 Amie was so adorable in her ball cap and pigtails, and was gracious enough to let us poke around while they put the finishing touches on their cow field retail tent. The tent was absolutely breathtaking. 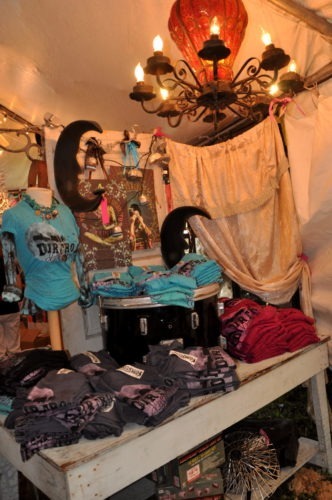 They had furniture, t-shirts, jewelry, boots and of course the most stylish junk you could ever imagine. It was a dream come true walking through their masterpiece. Junk Gypsy Jolie - what a cutie!! We could have stayed there forever, but it was time to move on to the rest of the show. 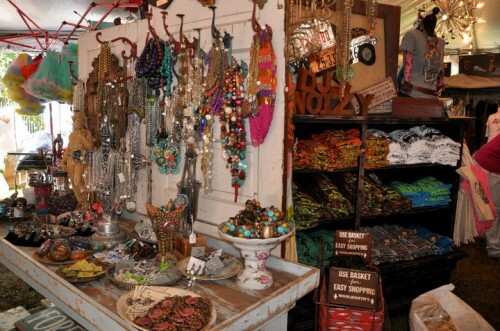 There were literally acres of booths set up. 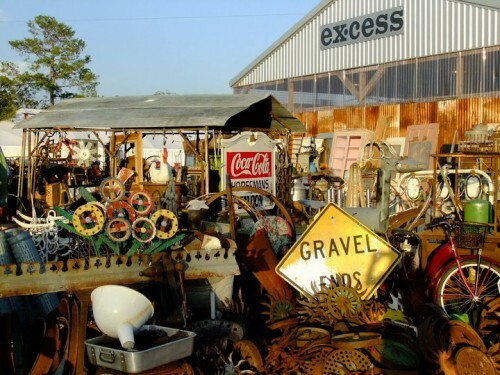 It was so sad not to be able to load up a trailer full and bring it home but this trip was a “just for fun adventure.” So armed with only our cameras as our shopping carts we wandered and clicked our way through this wonderland. Architechtural salvage as far as the eye could see! It was the kind of trip you never want to end. 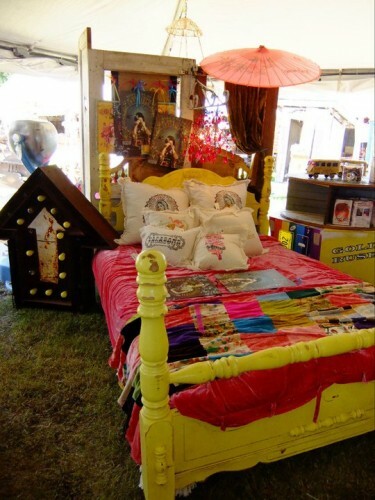 So this year Bungalow 47 is going back… and in our “style” we’re taking a truck and trailer to bring back a little Texas treasure for YOU!! 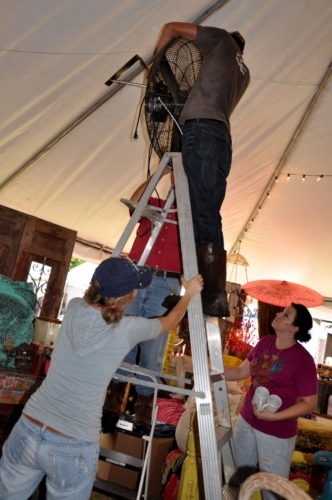 Stayed tuned… the B47 road crew leaves on Friday, March 30th for Antiques Week in Round Top, Texas. i’ve been doing Warrenton fall and spring for about 12 years and the thrill is STILL there. be sure to pick up a Show Daily paper for great maps, info,etc Ya’ll have a safe trip coming on down. 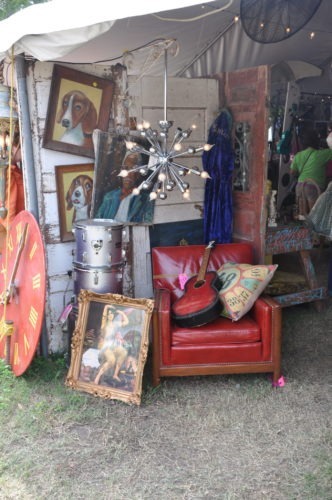 Round Top Antiques Week is happening at the end of the month, and goes through April. 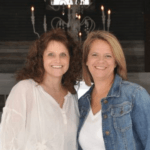 If you are in Texas, you will definitely want to get there!